ELKA KOLOSS 60 - 120 aluminium high security automatic barriers. Recommended for beams up to 12 metres in length at 100% duty cycle. Barrier cycle speeds from 6 to 12 seconds at 100% duty cycle. 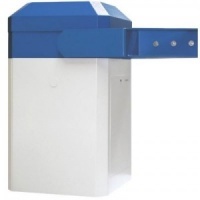 Ideal for securing sensitive sites and very wide road widths.